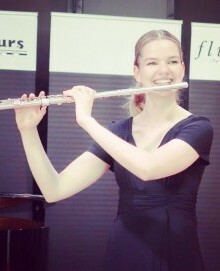 Especially for interested people from the region, sponsors and politicians, student finalists (of the Dutch International Flute Competition) will perform at the Lambertuskerk in Neeritter on Saturday 13 April at 2:30 pm. Entry is free thanks to the Cultuurhistorisch Comité Neeritter. During this concert, four finalists of the Dutch International Flute Competition will play music for flute and piano and / or play flute solo. 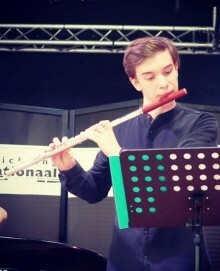 They are the top class among the Bachelor and Master students of international conservatories, who have qualified for the final round of this renowned flute competition, which was held from Wednesday April 10 to Friday April 12 in Ittervoort. We close the concert at 15:30 with a snack and drink. Welcome!